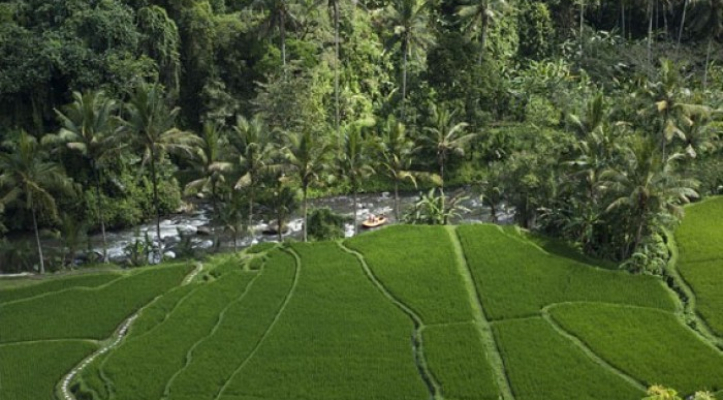 Ayung river is located just 15 minutes from the center of Ubud market, the river has very fantastic view, hidden waterfall, great stone carving on river wall, and you may also see wild monkey or tropical birds in their habitat. If you would like to swim you may enjoy clear and fresh water and beautiful rice field with valley view for along 2 hours of Rafting adventure. 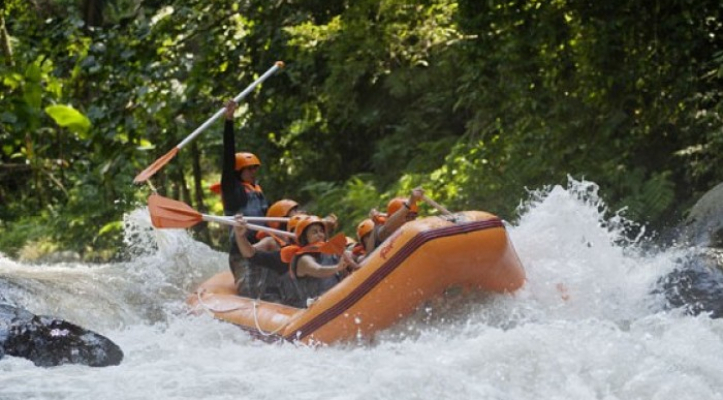 Water rafting at Ayung river offer class II/III rapids and may rise to class IV during rainy season. 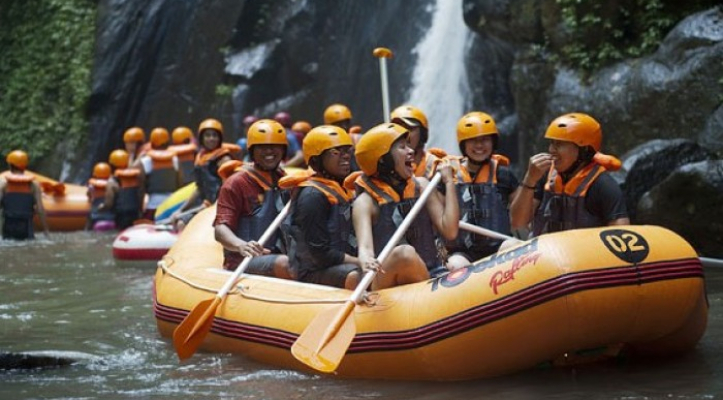 Before starting your paddling adventure the rafting guide will train you with some safety briefing and as a professional rafting guide they will always keep you on with their information and navigate the raft with fun and full concentration as your safety is first priority. 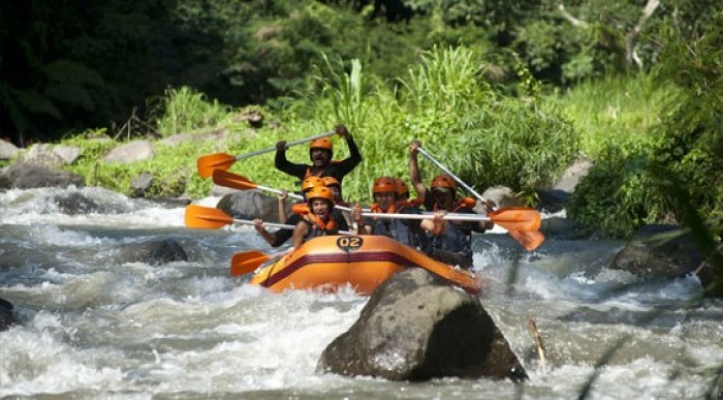 Enjoy our Indonesian buffet lunch at our rice field view restaurant where photos and CD of your fantastic adventure are also available to buy that you can share how is your great water rafting experience at Ayung river to your family and friends.